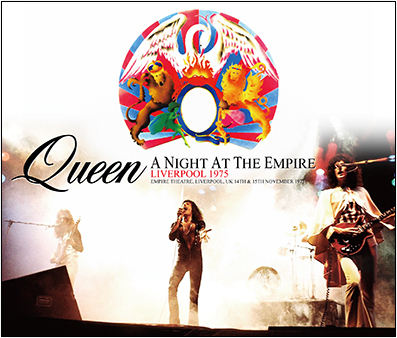 Recorded: Disc 1 & 2: Live At Empire Theatre, Liverpool, UK November 14th. 1975. 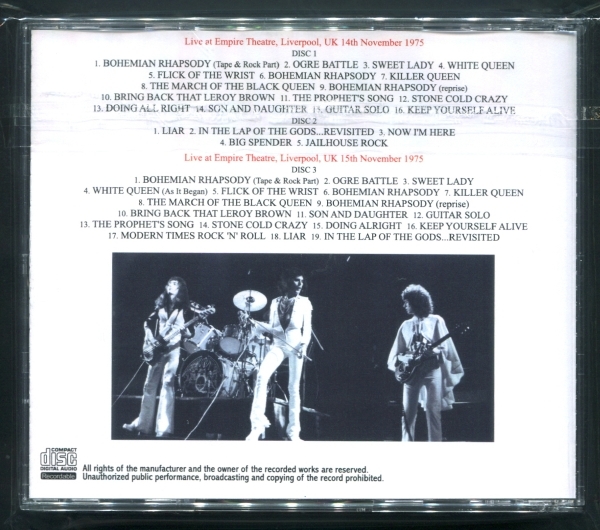 Disc 3: Live At Empire Theatre, Liverpool, UK November 15th. 1975. Comments: I'm not so sure of this release. Haven't seen it on dealers lists, so I'm not so sure how many copies which are made out. Japanese label 'Breakdown' released in February 2016 a 3cdr bootleg called 'Empire Strikes Live'. This 'not on label' release might be a copy from the 'Breakdown' 3cdr release. The 'opening part' of 'Bohemian Rhapsody' including the operatic part on tape, following the band plays the end part live. Roots: From a audience recorded tape. But this release might be copied from another bootleg. An audience album containing "November 14th and 15th Liverpool Show 1975 November" which is the early stage of "A NIGHT AT THE OPERA TOUR". As for how extreme it is, these two days are the 2nd and 3rd days of "A NIGHT AT THE OPERA TOUR". However, the "November 11th Coventry Performance" which is said to be the first day, even if it exists, it is doubtful even if it exists, because it is an unknown performance that even the venue is not understood even with the set list. Perhaps, this work may be the first day & the second day. 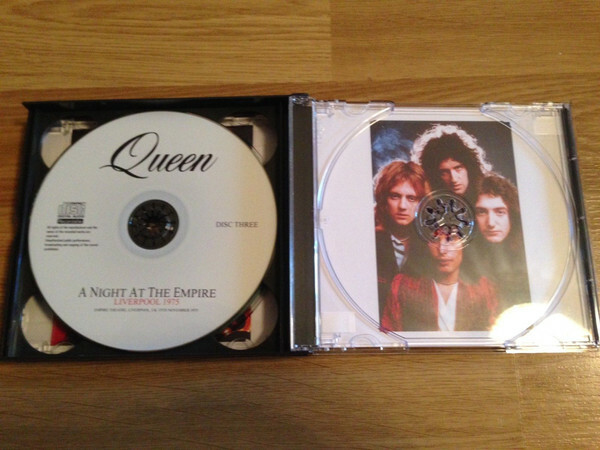 At that time, although a single "BOHEMIAN RHAPSODY" was released, it was a week before the release date of the album "The night of the opera". It is that "extremely early". This work which contained such a valuable live is a set of three pieces "November 14th" on Disk 1 and 2, "November 15th" on Disk 3. The sound of "November 14th" that I care about is incredible stunning vintage sound that I slept for 40 years. Although it is a somewhat wild sound image, it is not (never!) Like searching for a performance hidden behind the noise, the musical sound firmly plays a leading role, and the microusage of the chorus also approaches plenty of powerfully. I feel that the power of the rhythm corps is too great, but the wonderful thing of Freddie Mercury's singing voice that emerges beautifully from among them! It rips a musical tone which tends to become somewhat lumpy, it jumps over the 40-year-old space-time and straightens out cleanly. And its singing voice is also great. Not only youthfulness which was still in his twenties but also clearly "A NIGHT AT THE OPERA TOUR" is one of the best hyper tension. Even with 'Doing All Right' where a high melody continues, it is extraordinary. The plenty of the most delicious sounds of the beautiful voice that shines in the rock history is packed. As all songs are colored with high tension and top condition, the focus is still (premiered premiere) "Bohemian Rhapsody". It has been announced as a single on October 31 prior to the tour, and even with the scenes of the film 's appearance it is flown with tape. Even this alone, the audience burns blazingly, and there is no need to wait for an album release, and as soon as it is released as a representative song. Of course, this volume was also played in the medley with "Killer Queen" "The March Of The Black Queen" and is calling for a big applause. 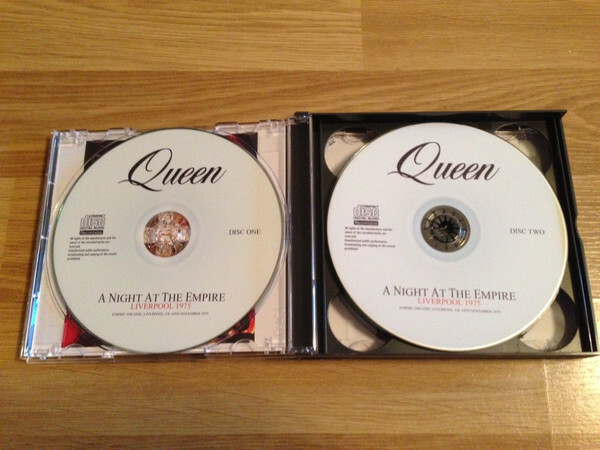 In addition to that, "Night of the Opera" such as "Sweet Lady" "The Prophet's Song" is also shown. These are also (perhaps) listenable at the premiere performance. After enjoying "November 14th" until Encore fully, Disk 3 "November 15th". Recordings of this day used to be traded at once, but the master of this work is different from that. This is the newly unearthed, one master of the encore not recorded. Here is also a rich sense of vintage sound, there is no immediate sense of "November 14", but the hot performance of young QUEEN burning hotly plays a leading role. Compared to Disks 1 and 2, Hiss drifts to the full story and the splendor of master freshness is felt enough. And this "November 15th" also keeps fierce high tension. Even with the trade sound source mentioned above, I can listen to plenty of the performance that became a topic of "Best performance!" Especially, "Modern Times Rock 'N' Roll" which I did not do on "November 14" is Mouretsu! Unexpectedly, a hot live can spread to such an extent that the fingertips will drive death words without permission. At any rate, a new excavation of the shocks. It is a 3-disc set that you can listen to plenty of "A NIGHT AT THE OPERA TOUR" extremely early live, which was sleeping for 41 years.